Choose one of the 2 escape rooms available in and around Midland! Escape rooms are perfect for any occasion: a night out with friends, a date, a birthday celebration or a team-building activity. Search for clues, solve puzzles and work together to uncover the mystery – it’s time you escaped the room! You have one hour before the trail is lost for good. 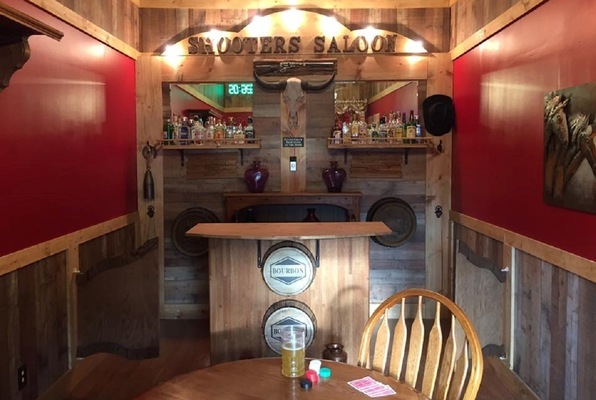 Can you find the clues in the saloon and bust Bill? The Ghostly Captain demands his medallion back and it's up to you to find it to escape his terror! The shipwreck game was a great escape room because the owners built it on their own and came up with multiple surprises and interesting puzzles! There was a bit more reading than I would have cared for, and the immersion was broken each time a clue was asked for because the employees would walk into the game with us. This room, however, is higher on my list than other games I have played. Tried our very first escape room. Loved it! Friendly staff, good storyline, nice decor, and reasonable prices. 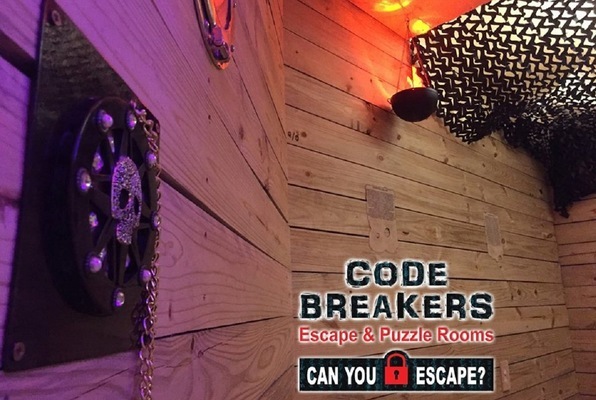 We completed the "Shooters" room, which would also be appropriate for kids who love puzzles (probably 10 and up). No scare, just lots of puzzles and brainpower! We'll definitely be back! Great evening with my union peeps! So much fun! We did the ship, can't wait to try another room! Code Breakers is a blast for the whole family! We did the Cazadores room with four adults in our 40s, five kids ranging from 12-18 and my mother in her 70s. All of us had a great time! We'd done other escape rooms and this was one of the best. We were blown away to learn the owners had personally designed and built it all themselves. We look forward to coming back again! We did the Shipwreck one and it was very fun and exciting. The staff was very kind and helpful. I will for sure be doing the other one!